The Denver Broncos are trying to keep pace in the AFC playoff race while scrambling to find replacements for two injured players ahead of their game Sunday against the host San Francisco 49ers. The Broncos (6-6) lost veteran wide receiver Emmanuel Sanders and cornerback Chris Harris Jr. Harris is expected to miss at least a month after breaking his right fibula in last Sunday's win at Cincinnati, and Sanders suffered a torn Achilles tendon while running a route in practice Wednesday. He was placed on injured reserve later that day. The Broncos, who will be seeking to extend their winning streak to four games to stay in the thick of the wild-card hunt, are leaning on youthful replacements. Isaac Yiadom is expected to fill in for Harris, joining Bradley Roby at the corners. Yiadom, a third-round pick out of Boston College, has already seen increased playing time in the last five weeks. 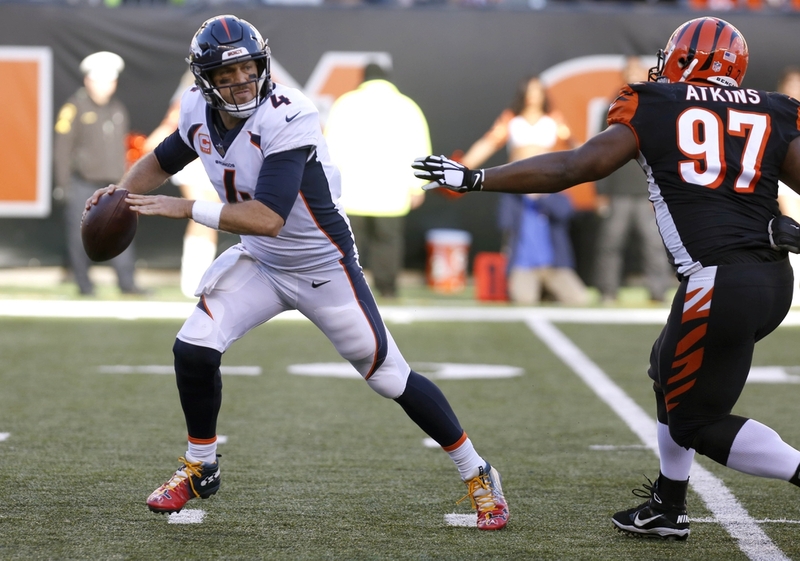 "Any time you get an injury in this league, it's tough," Broncos quarterback Case Keenum said. "But it's next man up, and I've said it before, and I know it's cliche. I'm a product of somebody getting a chance when somebody gets injured. It could be a great start for somebody's career, one of these young receivers who we trust. "They've been working a long time, Court (Courtland Sutton), DaeSean (Hamilton), Tim Patrick, all of those guys. What a great opportunity for those guys, depending on what's at stake here." The 49ers (2-10), meanwhile, will be relying on players who began the season as third stringers in key positions. While San Francisco waits for injured Jimmmy Garoppolo and running back Jerick McKinnon to return from knee injuries next season, Nick Mullens and Jeff Wilson Jr. will stand in. The 49ers also have the NFC's seventh leading rusher, Matt Breida with 744 yards, but he is out this week. Mullens, undrafted out of Southern Mississippi last year, showed he belongs with the 49ers or elsewhere next year. His 414 passing yards at Seattle in Week 13 were the most for a 49ers player in 14 years. It was his second impressive outing in four starts. He led the 49ers to one of their two victories in Week 9 against the Oakland Raiders. Wilson burst onto the scene in Seattle, running head first into defenders so often you'd have thought he was auditioning to play strong safety for the Seahawks. He came away with 134 total yards on 23 touches (15 rushes, eight receptions) . He also came away with a bruised foot some say was inevitable given his wrecking-ball style. 49ers head coach Kyle Shanahan was asked this week if he or his staff had approached Wilson about downshifting a notch or two for self-preservation. "No," Shanahan said. "That's his style. That's what got him an opportunity in this league. That's what he does best. That's why he's going to make it. "I hope he doesn't lose that, for his and our sakes. He runs hard and that's what he does good. Hopefully, we can keep him healthy and he keeps getting better and better." The 49ers are hoping to get some help on offense with the return of wide receiver Marquise Goodwin. Shanahan indicated that Goodwin won't just walk bck into a starting spot after a two-game absense for personal issues. "We'll see. I'm just happy that he's doing better, good enough to be back in the building," Shanahan said. "I just got to see him a little bit in meetings today, so we'll see him out at practice today and see where he's at, how he looks, and we'll decide as the week goes."